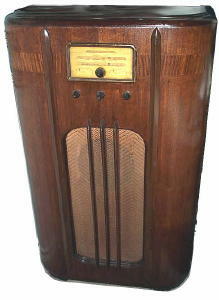 General Electric introduced the F-65 alongside with the F-53, F-63 and F-70 tabletop sets in in late 1937 as a 1938 model with new cabinet design elements. 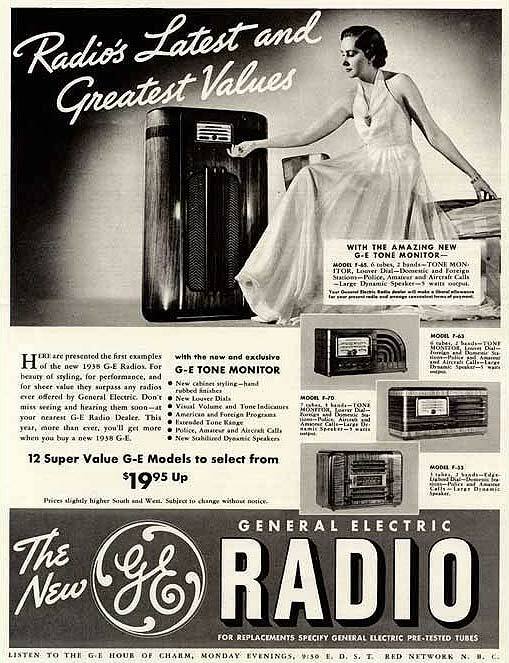 GE used the familiar GE dial using multiple pointers for each band and even individual pointers for the volume and tone controls. The cabinet was refinished with oak stain and the electronics simply needed new filter capacitors.